Zak Kingston is a Ph.D. student in Computer Science at Rice University, working with Dr. Lydia Kavraki. He graduated with a B.S. in Computer Science from Rice in Spring 2016 and his M.S. in Computer Science from Rice in December 2017. He is currently funded by a NASA NSTRF fellowship, working with the Robonaut 2 team. His research interests lie in algorithmic robotics, focusing on robot manipulation planning and planning with constraints. The generic constrained planning framework presented in ISRR 2017 is now available in OMPL! Take a look at the overview and the tutorial. ZK is currently Ph.D. student in the Kavraki Robotics Lab at Rice University, working on robot motion planning with geometric constraints. ZK is an NSTRF Fellow with NASA Johnson Space Center's Dexterous Robotics Lab. He previously developed the motion planning system for NASA’s humanoid robot Robonaut 2. ZK used to work in the Multi-Robot Systems Lab (MRSL) at Rice University, where he worked on multi-robot manipulation. We present a new algorithm for task and motion planning (TMP) and discuss the requirements and abstrations necessary to obtain robust solutions for TMP in general. Our Iteratively Deepened Task and Motion Planning (IDTMP) method is probabilistically-complete and offers improved performance and generality compared to a similar, state-of-the-art, probabilistically-complete planner. The key idea of IDTMP is to leverage incremental constraint solving to efficiently add and remove constraints on motion feasibility at the task level. We validate IDTMP on a physical manipulator and evaluate scalability on scenarios with many objects and long plans, showing order-of-magnitude gains compared to the benchmark planner and a four-times self-comparison speedup from our extensions. Finally, in addition to describing a new method for TMP and its implementation on a physical robot, we also put forward requirements and abstractions for the development of similar planners in the future. Robots with many degrees of freedom (e.g., humanoid robots and mobile manipulators) have increasingly been employed to accomplish realistic tasks in domains such as disaster relief, spacecraft logistics, and home caretaking. Finding feasible motions for these robots autonomously is essential for their operation. Sampling-based motion planning algorithms have been shown to be effective for these high-dimensional systems. However, incorporating task constraints (e.g., keeping a cup level, writing on a board) into the planning process introduces significant challenges. is survey describes the families of methods for sampling-based planning with constraints and places them on a spectrum delineated by their complexity. Constrained sampling-based methods are based upon two core primitive operations: (1) sampling constraint-satisfying configurations and (2) generating constraint-satisfying continuous motion. Although the basics of sampling-based planning are presented for contextual background, the survey focuses on the representation of constraints and sampling-based planners that incorporate constraints. This paper presents two distributed algorithms for enabling a swarm of robots with local sensing and local coordinates to estimate the dimensions and orientation of an unknown complex polygonal object, ie, its minimum and maximum width and its main axis. Our first approach is based on a robust heuristic of distributed Principal Component Analysis (DPCA), while the second is based on turning the idea of Rotating Calipers into a distributed algorithm (DRC). We simulate DRC and DPCA methods and test DPCA on real robots. The result show our algorithms successfully estimate the dimension and orientation of convex or concave objects with a reasonable error in the presence of noisy data. unknown complex polygonal object, ie, its minimum and maximum width and its main axis. This paper presents pipelined consensus, an extension of pair-wise gossip-based consensus, for multi-agent systems using mesh networks. Each agent starts a new consensus in each round of gossiping, and stores the intermediate results for the previous k consensus in a pipeline message. After k rounds of gossiping, the results of the first consensus are ready. The pipeline keeps each consensus independent, so any errors only persist for k rounds. This makes pipelined consensus robust to many real-world problems that other algorithms cannot handle, including message loss, changes in network topology, sensor variance, and changes in agent population. The algorithm is fully distributed and self-stabilizing, and uses a communication message of fixed size. We demonstrate the efficiency of pipelined consensus in two scenarios: computing mean sensor values in a distributed sensor network, and computing a centroid estimate in a multi-robot system. We provide extensive simulation results, and real-world experiments with up to 24 agents. The algorithm produces accurate results, and handles all of the disturbances mentioned above. pipeline message. After k rounds of gossiping, the results of the first consensus are ready. This paper presents four distributed motion controllers to enable a group of robots to collectively transport an object towards a guide robot. These controllers include: rotation around a pivot robot, rotation in-place around an estimated centroid of the object, translation, and a combined motion of rotation and translation in which each manipulating robot follows a trochoid path. Three of these controllers require an estimate of the centroid of the object, to use as the axis of rotation. Assuming the object is surrounded by manipulator robots, we approximate the centroid of the object by measuring the centroid of the manipulating robots. Our algorithms and controllers are fully distributed and robust to changes in network topology, robot population, and sensor error. We tested all of the algorithms in real-world environments with 9 robots, and show that the error of the centroid estimation is low, and that all four controllers produce reliable motion of the object. Complex robots with many degrees-of-freedom (e.g., humanoids, mobile manipulators) have been increasingly applied to achieve tasks in fields such as disaster relief or spacecraft logistics. Finding motions for these systems autonomously is necessary if they are to be applied in unstructured environments not known a priori, as they must compute motions on-the-fly. Sampling-based motion planning algorithms have been shown to be effective for finding motions for high-dimensional systems such as these. However, the problems these robots face typically take the form of tasks with constraints, which limit the valid motions a robot can take (e.g., turning a valve about its axis, carrying a tray with both arms, etc.). Incorporating constraints while planning introduces significant challenges, as constraints induce a lower-dimensional manifold of constraint-satisfying configurations within the robot's configuration space. The lower-dimensional structure of the manifold throws a wrench into the basic operation of a sampling-based planner, necessitating a constraint methodology to provide a means for the planner to satisfy constraints. Within the literature, many constrained sampling-based motion planning methods have been proposed for sampling-based planning with constraints. Each of these methods introduces a constraint methodology of their own to tackle the issues raised when considering constraints. This thesis organizes several previously proposed constraint methodologies along of a spectrum, cataloged by the amount of bookkeeping and computation used to approximate the manifold of constraint-satisfying configurations. Notably, previous constrained sampling-based methods augment a single sampling-based algorithm with their constraint methodology to create a bespoke planner. This thesis presents a general framework for sampling-based motion planning with geometric constraints, unifying prior works by approaching the constrained motion planning problem at a higher level of abstraction. The framework decouples the constraint methodology from the planner's method for exploration by presenting the constraint-induced manifold as a configuration space to the planner, hiding details of the constraint methodology behind the space's primitive operations. Three constraint methodologies from the literature are emulated within the framework. The framework is demonstrated with a range of planners using the three emulated constraint methodologies in a set of simulated problems. Results show the advantages decoupling brings to constrained sampling-based planning, with novel combinations of planners and constraint methodologies surpassing emulated prior works. The framework is also easily extended for novel planners and constraint spaces. constraint methodology to provide a means for the planner to satisfy constraints. constraint methodology of their own to tackle the issues raised when considering constraints. methodology to create a bespoke planner. ZK is a TA for COMP/ELEC/MECH 450/550, Algorithmic Robotics, in the Fall 2016, 2017, and 2018 semesters. COMP 450 is an introductory robotics course covering a broad selection of topics in modern robotics. ZK was an in-lab TA for COMP 321, Introduction to Computer Systems, in the Spring 2015 and 2018 semesters. COMP 321 uses the C programming language to teach modern computer systems. ZK was an in-class TA for COMP 140, Introduction to Computational Thinking, in Fall 2015. COMP 140 is a flipped classroom course, with lectures given through videos and class-time spent on hands-on exercises. ZK was a TA for ENGI 128, Introduction to Engineering Systems, in the Fall 2014 Semester. ENGI 128 is a freshman-only introduction to concepts in mechanical engineering, electrical engineering, and computer science. The course used the r-one robot, developed by the MRSL. ZK is a consultant for Rice's Center for Academic and Profession Communication. ZK is the current financial directory for Rice's Computer Science Graduate Student Association. He is also the CS Department Representative for Rice's Graduate Student Association. ZK gave a talk at the Humanoid Users Symposium at NASA JSC about his work on Robonaut 2. ZK gave an presentation on the basics of robotics with Dr. Mark Moll to MANA, a national Latina organization. Read about it in the Rice at Large publication. ZK was a consultant with Dr. James McLurkin for the Chicago Museum of Science and Industry (MSI). The Robot Revolution Exhibit at MSI hosted the r-one robot in an interactive exhibit, where visitors could use a joystick to command a swarm. ZK was a TA for the Summer Swarm Robot Camp hosted by the MRSL. The camp was designed for middle school and high school students in the community interested in robotics and computer science to get a hands-on experience working with a robot and programming its behavior. The camp used the r-one robot, and the Python programming language. ZK accepted the NASA Space Technology Research Fellowship. You can read about it on NASA's page! Read about it in the Rice Engineering News. ZK was awarded the National Science Foundation's Graduate Research Fellowship. Read about it in the Rice Computer Science News. There was also an interview. 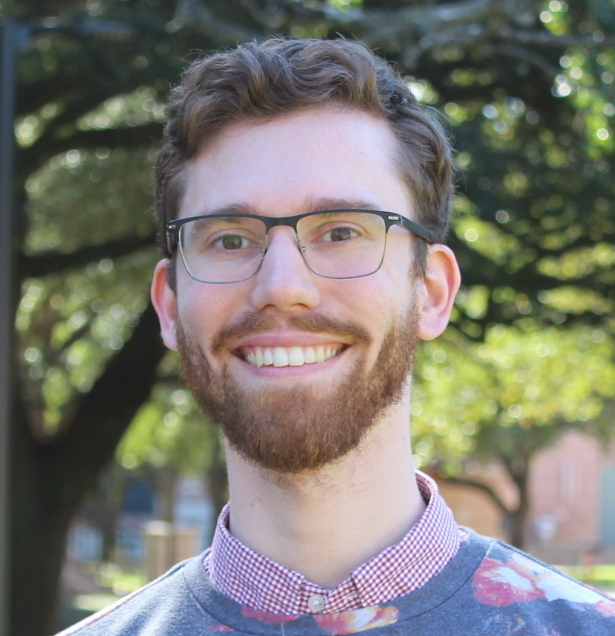 ZK was awarded the Graduate Research Fellowship for Rice Undergraduates by the Rice Computer Science Department. ZK was awarded the Distinction in Research and Creative Works, a university honor. An experiment with three.js to procedurally generate aesthetically pleasing rock gardens. Check it out! Code is on Github. In his spare time, ZK plays in a band with some friends from applied mathematics. Check them out on SoundCloud!